At Baselworld 2017, American high-end jeweler and watchmaker Harry Winston celebrates the city that has been its sparkling home for 85 years – New York. The Manufacture presents four new additions to its coveted The Avenue collection that reflect the grand decorative aesthetics of Art Deco, the movement that bloomed in the Big Apple in the 1930s with hallmarks such as the Empire State Building and the Chrysler Building. The four timepieces – the Avenue Classic Cherry Blossom, the Avenue Mini Moon Phase, the Avenue Dual Time and the Avenue Classic Automatic – marry Harry Winston’s design artistry and gem-setting mastery to evoke the vibrancy of New York. 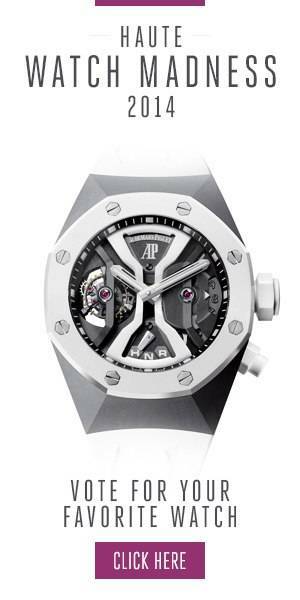 All are powered by Swiss watchmaking credentials. Having made its media debut as a pre-Baselworld creation, The Cherry Blossom iteration exudes the beauty of the Japanese Sakura season with a pale blue dial of mother-of-pearl, set with 39 diamonds and 29 pink sapphires of various sizes that trace exquisite petals of blooming cherry trees. The Avenue Mini Moon Phase flaunts vintage delicacy that blends celestial serenity and metropolitan extravagance. The elongated dial, rimmed in shimmering diamonds, draws the attention with a dainty moon phase complication. With a gold moon and two stars blazing their way on an intense dark blue canvas, the function is one of the tiniest on the market today. While awakening the opulence of the mid-20th-century New York, the Avenue Dual Time carries a modern-age practicality. With a dial split in two, the watch offers a second time zone function that is simple to consult. Seeking maximum utility, a pair of crowns on the side of the diamond-set case brings the possibility to adjust the time and the minute hands on their own. This seemingly little tweak allows for non-standard time differences of half-hour and quarter-hour. The Avenue Classic Automatic follows the current trend of equipping women’s watches with automatic movements. It is a first for Harry Winston, letting its clients enjoy a sleek watch with a fine mechanical calibre. All new Avenue pieces are hoisted to alligator leather straps that feature a novel gold folding clasp that enhances comfort and security.